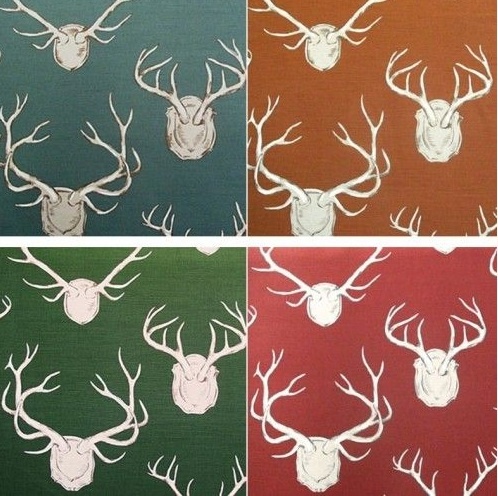 The Relished Roost: Oh Deer! 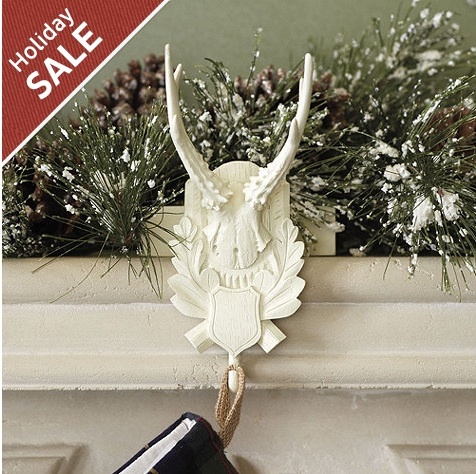 Yes, it is about that time of year to relish some tiny Reindeer! 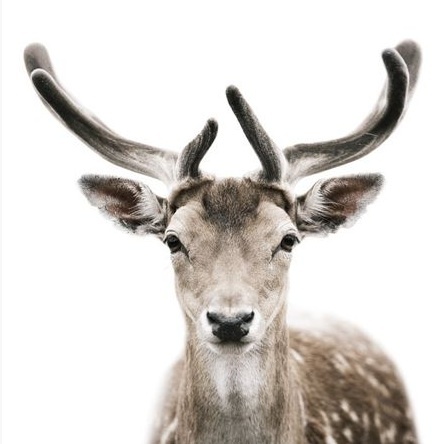 I adore Deer even though they wreak havoc on my garden and shrubs, and become giant road blocks as they gingerly cross in front of my little mini cooper. I still look forward to Spring as the little ones sneak into my yard. I even tried to no avail to revive a faun this past Summer that my neighbor found abandoned by its mother, alas I was too late. 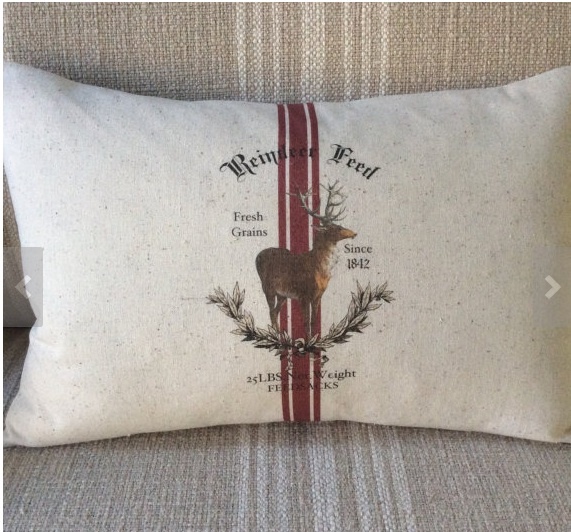 So, needless to say I love me some Deer for Christmas! 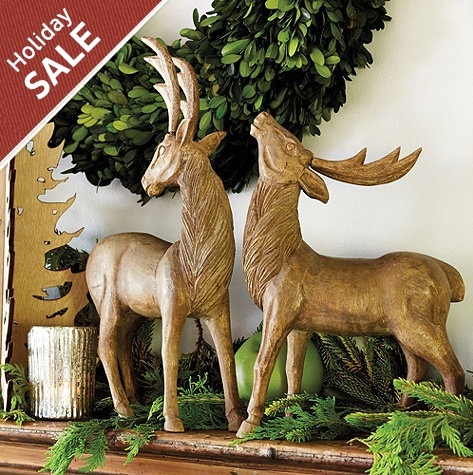 Here are some of favorite ways to bring a little Rudolph into your home for the Holidays. 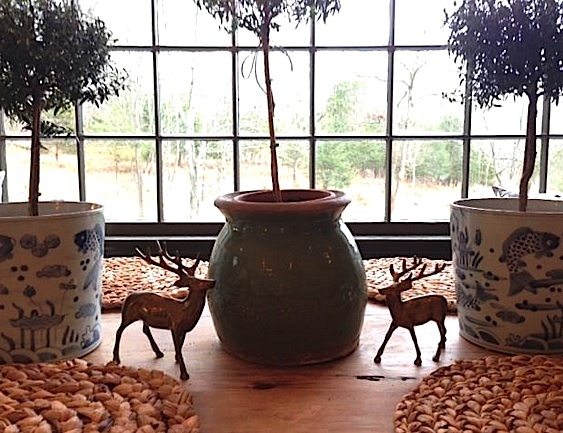 These lovely little Deer are a gift from a great friend! 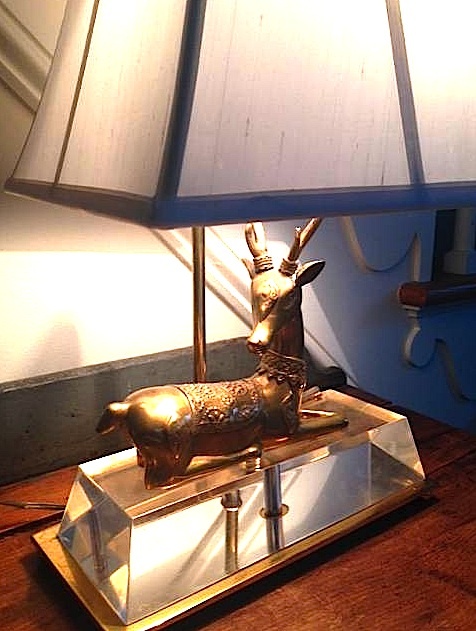 One of my favorite Lamps that I found at a thrift store! 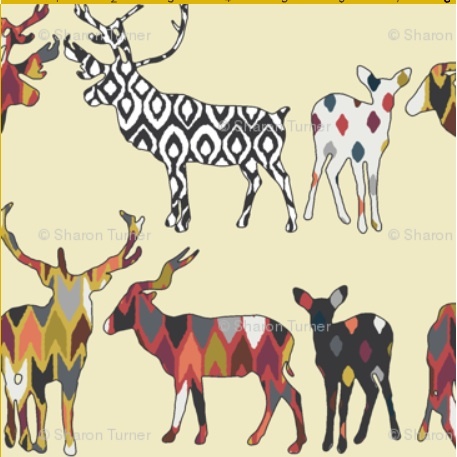 I love of the fun Deer inspired fabric! Check all of these out. 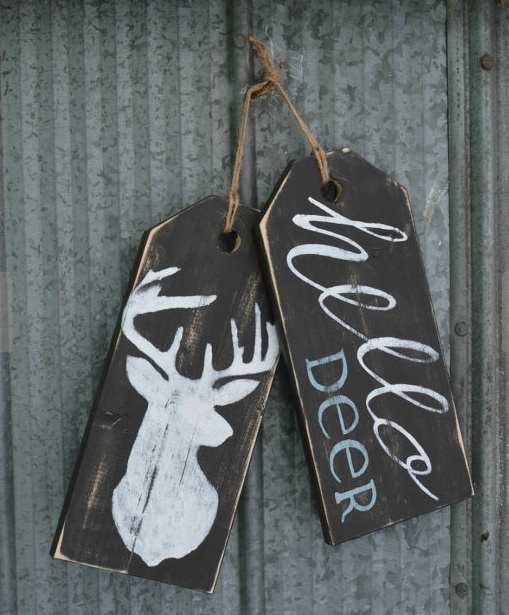 Ballard has some great little deer for the home! 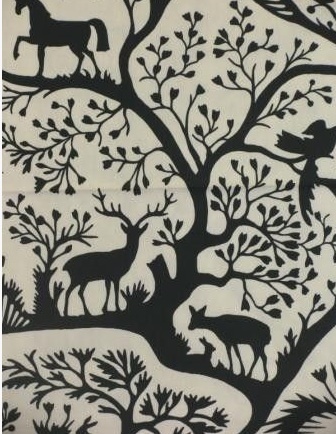 _________________________________________________________________________________Etsy always has fabulous finds and no lack of Deer here! What a great roundup! 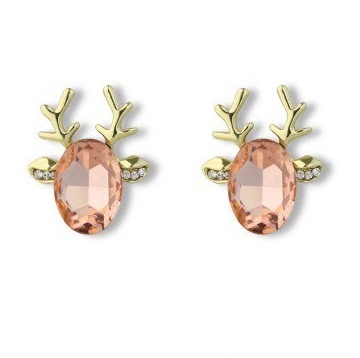 I love those earrings and may have to get myself a pair for the holidays! Meanwhile, I have a Mini too! And now I'm worried about hitting, or being hit by, a deer in it. I hit one in a jeep years ago and it did quite a lot of damage - to my jeep. 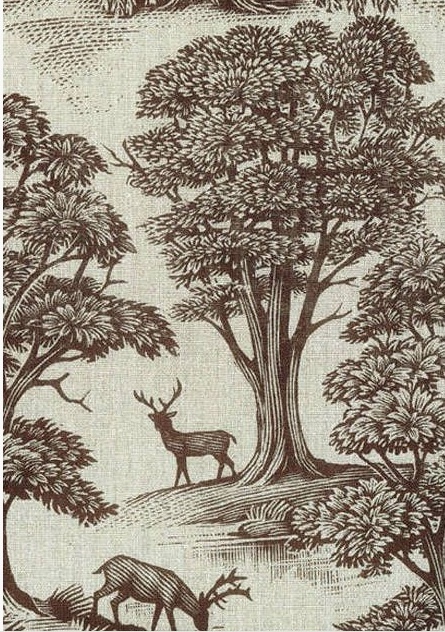 I think the deer ran off without breaking stride. Oh Linda I just stopped this morning for a deer to cross the road I fear the same thing! 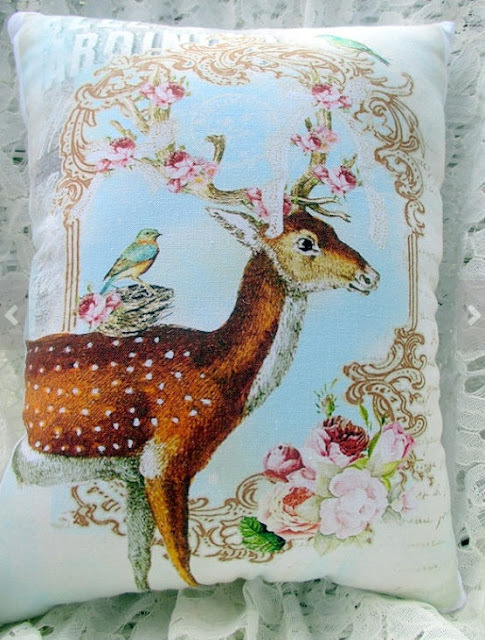 I love deer as well, although I do not see too many here by the ocean. I can't wait to go and check out all of these fabulous finds! 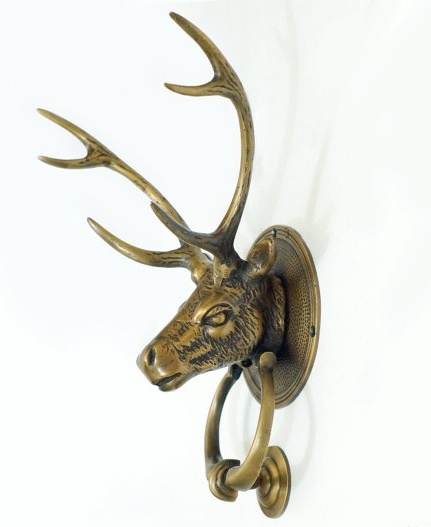 If you like stags photographs Di from Yonks takes unbelievable photos of stag in Scotland. She has an Etsy store as well. 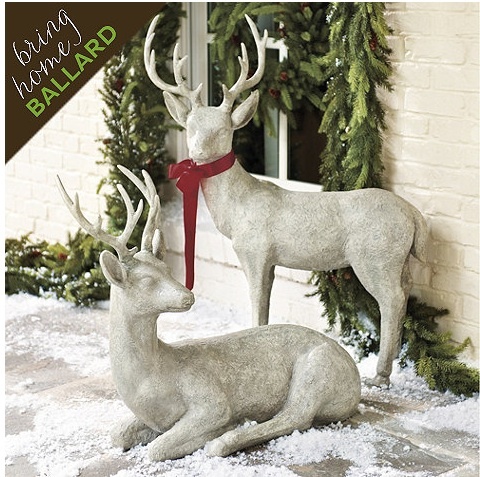 I've been thinking about buying the sitting Ballard deer since June! I think he'd look so cute on my Christmas buffet. 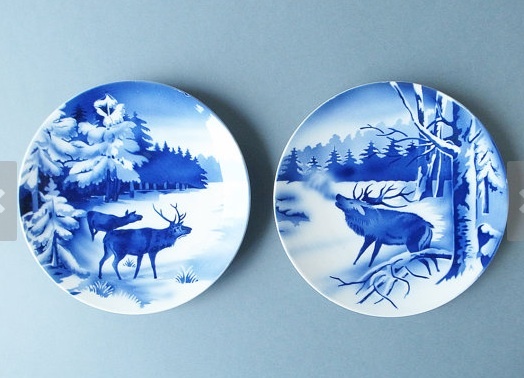 I too adore anything Reindeer and you have posted some amazing selections of sweetness. Karolyn this is wonderful because I love deer and often they will turn up in our city at unexpected places! I love to get some favorites out at the holidays! Have a wonderful weekend!! 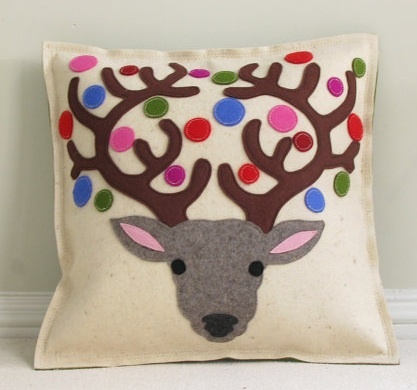 I love things with a deer motif as long as they aren't too cutsie! You found some wonderful examples!! Great roundup of products. 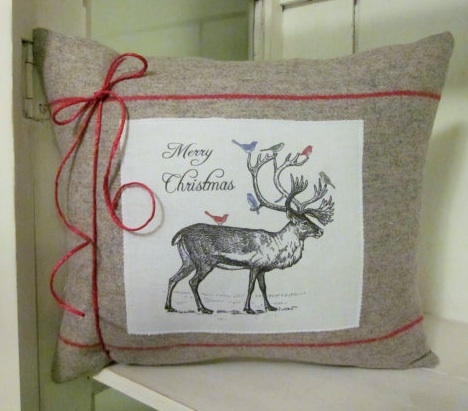 I love the reindeer feed pillow and those chalkboard tags. I wish we didn't have so many deer in our yard though! We have to be so careful what we plant and still our landscaping always gets eaten! Enjoy your weekend! After I read your post yesterday I came upon this mug and thought you might like it!